1. 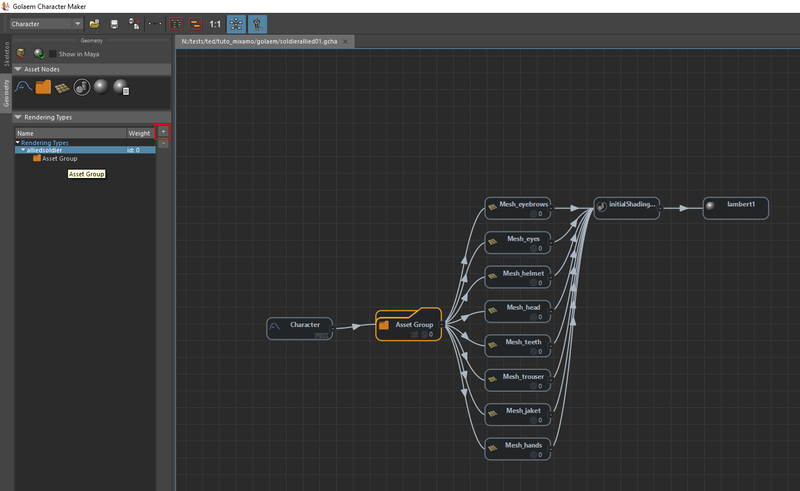 Import your converted Mixamo FBX in maya. 4. 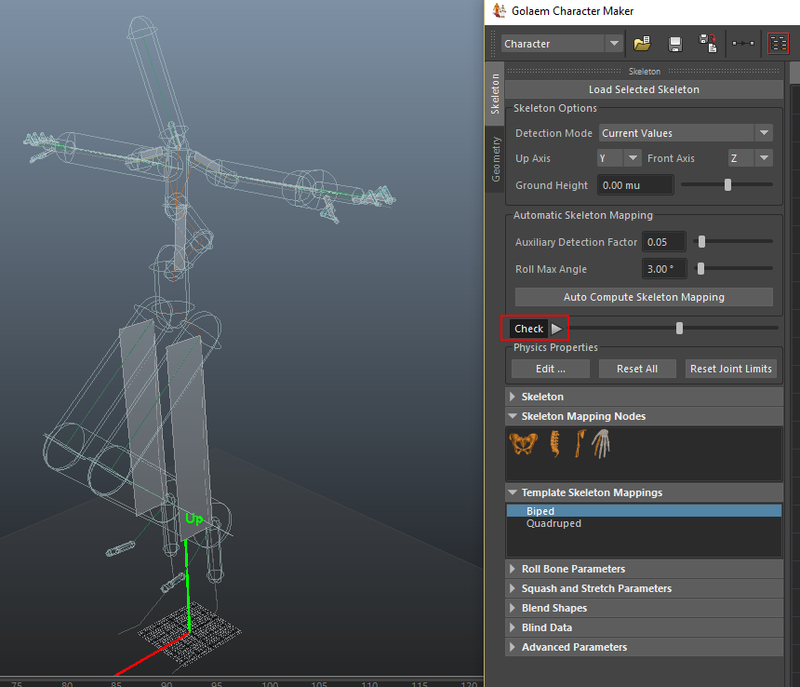 Select the Hip joint of your character and open the Golaem Character Maker. 6. 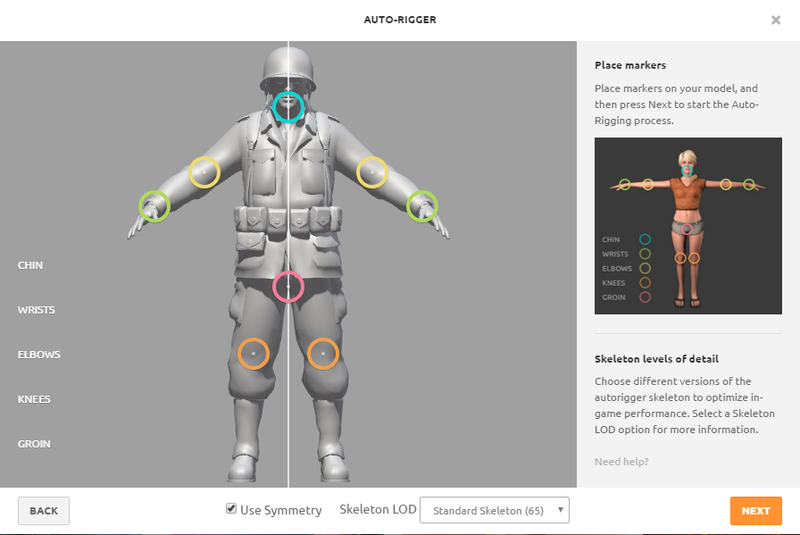 Inside the Character Maker Click Load Selected Skeleton Button. Check the Skeleton Axis and click Ok.
7. 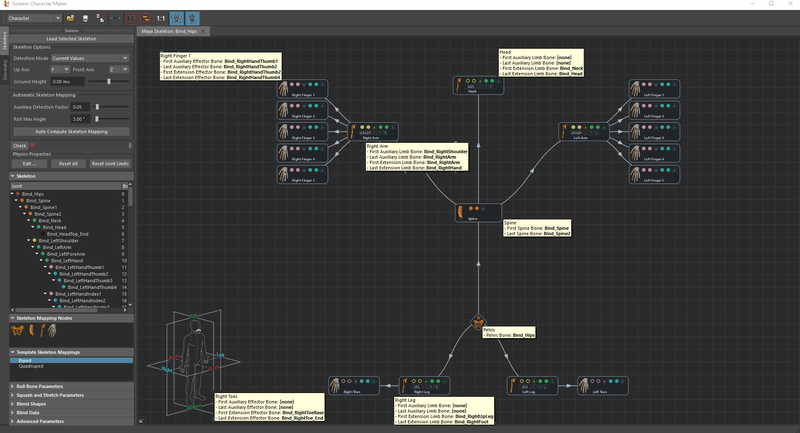 Change the Detection Mode to Current values and Drag and Drop the Biped Template into the main workspace. 10. 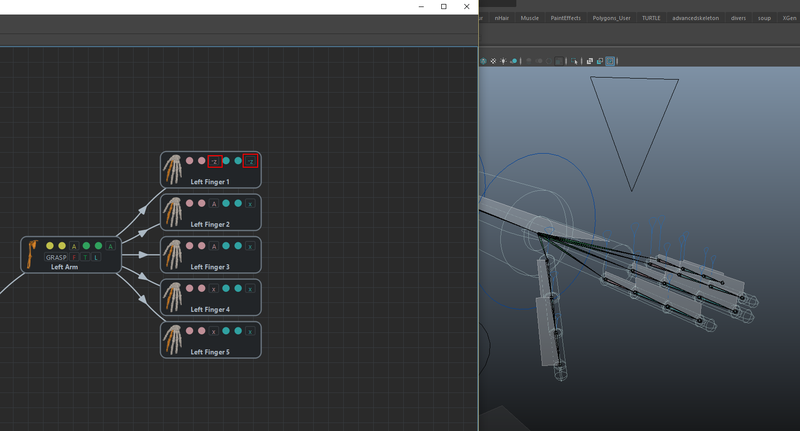 If for some reason some bones are bending in the wrong direction take some time to flip the IKs by clicking the little boxes inside the Limb nodes. 11. 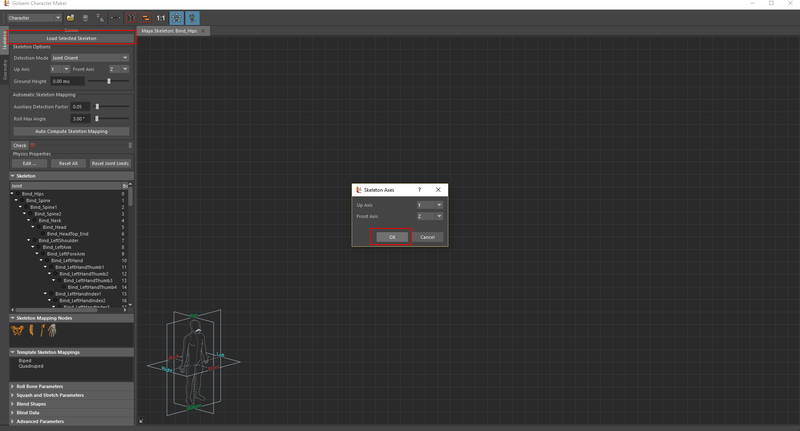 Go inside the Geometry tab of the Character maker and while selecting your character's geometry , click the Import Geometry button . 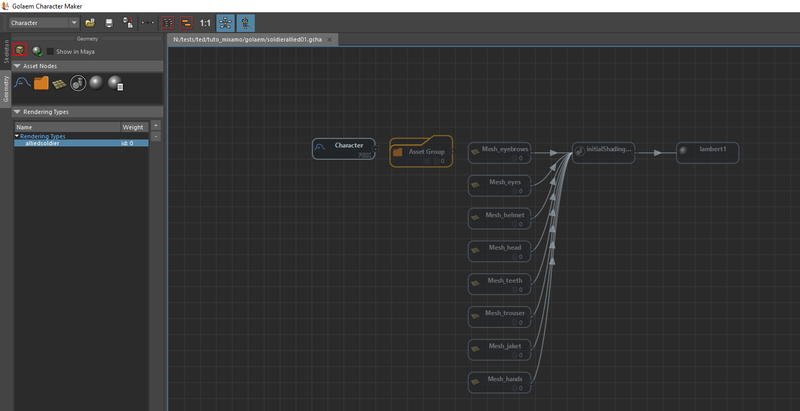 notice: If your character doesn't have shaders applied, you would like to create and map it before importing the geometry and shaders inside the Character Maker. 12. 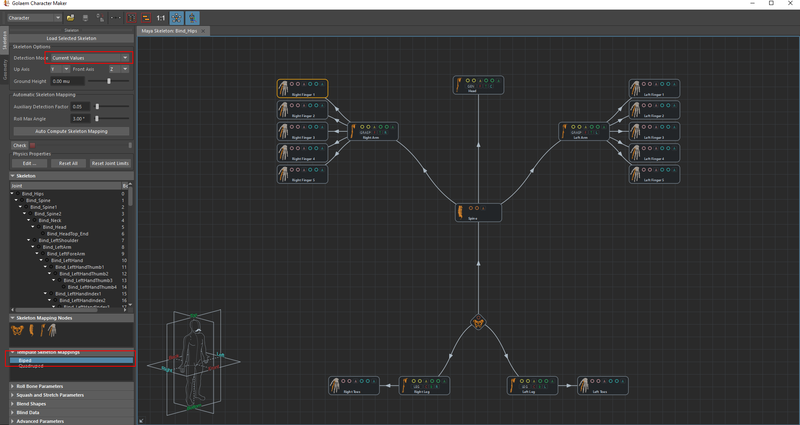 Link all your Mesh Asset nodes under an Asset Group node and Create a new Rendering Type for your Character. 13. 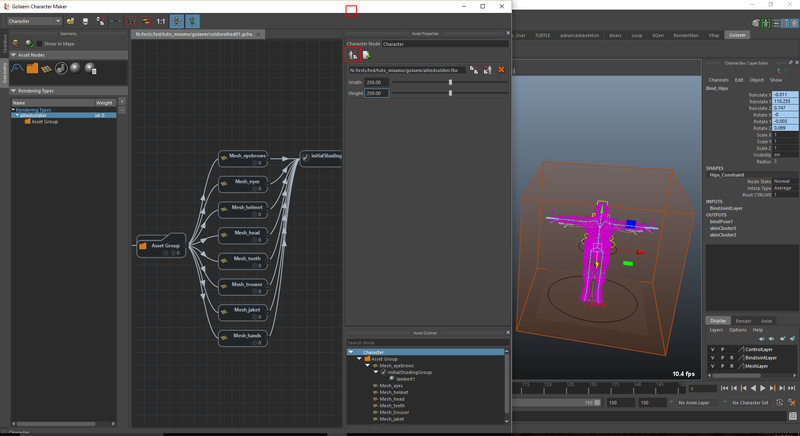 Export the character's fbx or gcg file and don't forget to set the Bounding Box. 14. Your Character is now ready for simulation. 15. 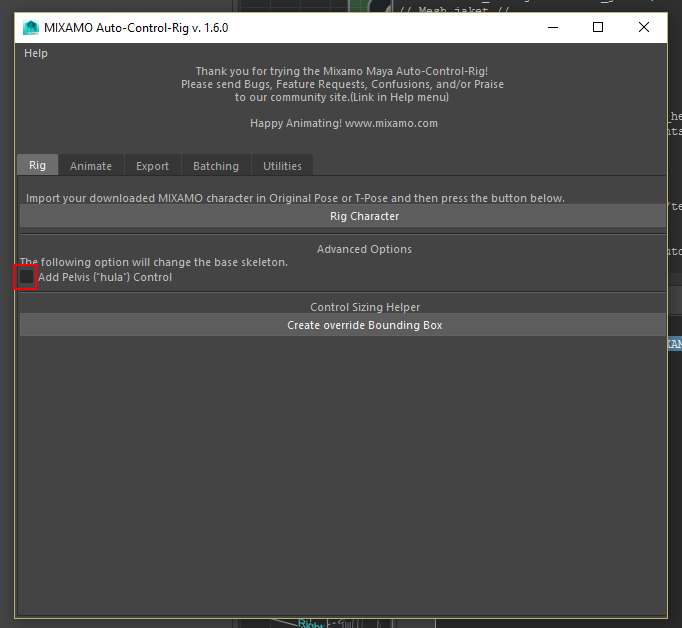 On another side select your shaded character and save it as a .ma this file must contain every shaders to be used at render time. 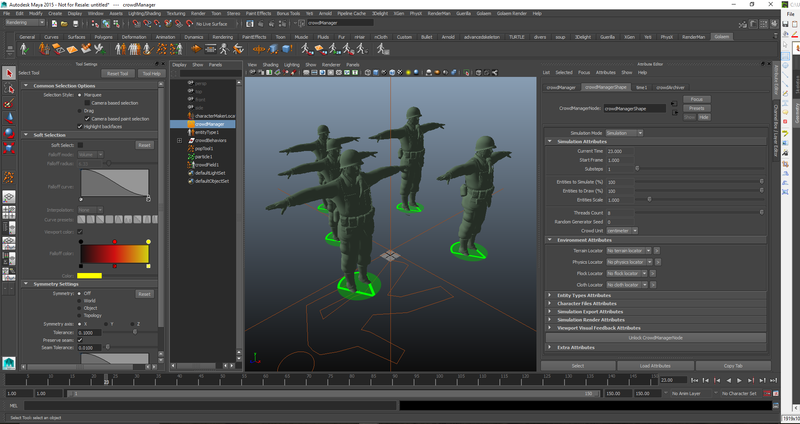 To understand how to move and render your crowds please read the Quick Start Tutorial.